A deep understanding of women and gender relations is at the heart of all our programs—but the boundaries go well beyond. Women’s and Gender Studies courses are concerned with social justice in the broadest sense: students examine how race, social class, religion, sexuality, and gender shape society and culture in Canada and elsewhere. Women’s and Gender Studies is intellectually stimulating, personally fulfilling and practical. Whether you choose Women’s and Gender Studies on its own or in conjunction with another program, the skills and knowledge you gain will be valuable in workplaces where there is a need for employees who are informed, open-minded, and responsive to issues of equality, difference, and persity. Women’s and Gender Studies is excellent preparation for employment in a wide variety of business, social service, education, legal and government organizations. Download a degree worksheet (below) to assist you in following your degree requirements. Please note that the online Academic Calendar is the official record of degree requirements for the B.A. General, Honours, Combined Honours, and Certificate programs. The Combined BSW in Social Work and Women's and Gender Studies broadens your horizons and equips you to see beyond the conventional perspective. You learn to engage with others in an open and non-judgmental way, and you acquire the knowledge and skills needed to effectively address the issue faced by those with whom you work. The program includes both Social Work and Women’s and Gender Studies courses. In Year 1 and 2, the emphasis is on Women’s and Gender Studies. During the final two years, the focus shifts to Social Work and includes a fourth year field placement in a community agency. Students must complete twenty courses prior to admission to Year Three. For more information on applying to Year Three of Social Work and Women's and Gender Studies, please visit the Social Work FAQ page. Program requirements, course sequencing and course descriptions are available at the Official Undergraduate Academic Calendar. Download a degree worksheet (below) to assist you in following your degree requirements. Please note that the online Academic Calendar is the official record of requirements for BSW (Combined Honours) in Social Work & Women's and Gender Studies. A Certificate or Minor in Women's and Gender Studies could be the extra boost you need in the workplace. Please note that the online Academic Calendar is the official record of requirements for Certificate in Women's and Gender Studies and Minor in Women's and Gender Studies. 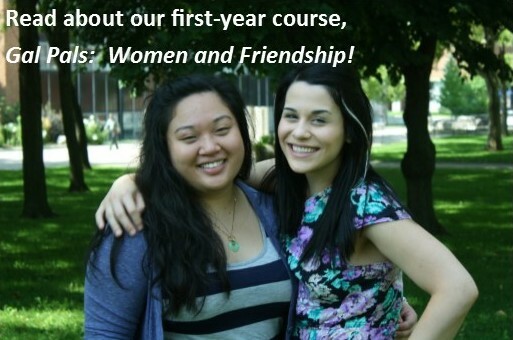 Contact wgst@uwindsor.ca for information about when these courses are offered. If you wish to take WGS courses at another university, you must submit a Request for Letter of Permission to the Office of the Registrar. We recommend that you meet with Dr. Forrest before submitting your letter of permission to ensure that a transfer credit can be applied to your degree. Contact wgst@uwindsor.ca to schedule an advising appointment.